Ken in Shirasaya, with Koshirae, in box. Sayagaki: Yamato kuni Kanekiyo Dai Kinsu 30 Mai. 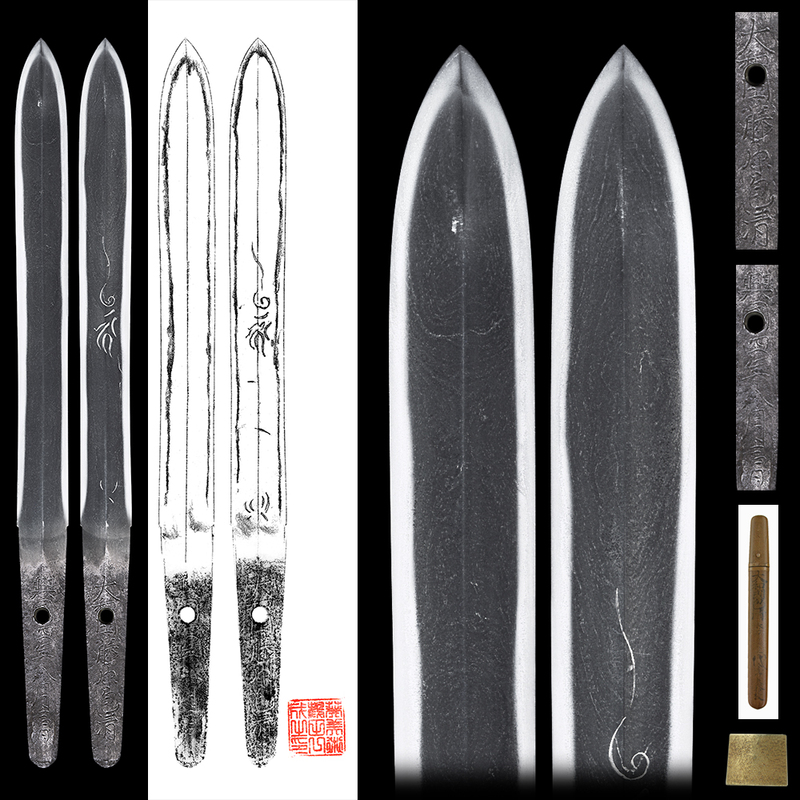 Blade length : 18.7 cm or inches. Width at the hamachi : 1.95 cm or inches. Kasane : 0.64 cm or inches. Shape : wide and thick, Old-Ken. 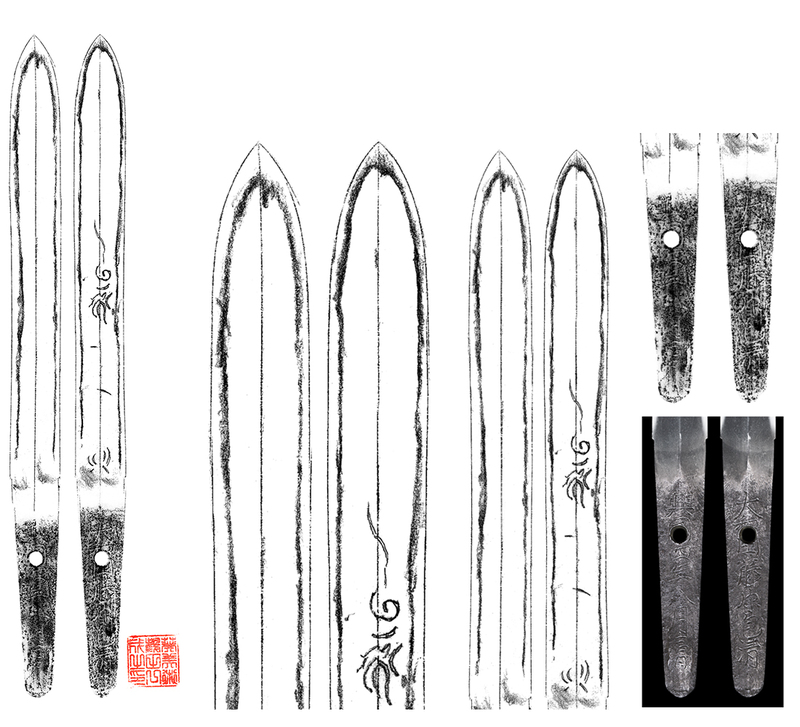 Jitetsu : Ko-Itame Hada and Mokume Hada mixed with Jinie attach clear nice Jigane. Hamon : Nie Deki Suguha with deep Nioikuchi. Boshi is around shape. In Ha, there are fine Sunagashi and Kinsuji. Special feature : Yamato kuni Fujiwara Kanekiyo was Tegai school from Kamakura to Eikyo era. The signature is mentioned as Yamato kuni Fujiwara Kanekiyo. But unfortunately the signature is questionable. This Jigane and Hamon are beautiful Yamato Ko Ken. Tsuka and Kojiri : Iron with Kizami. plants design is engraved with gold color. Kaerizuno : Iron, plants design is engraved with gold color.